An outdoor kitchen provides you with an alternative for enjoying your backyard, but how do you choose what to put in that kitchen? You’ll find three different design aspects to consider when building your outdoor entertaining space. It can be daunting to try and decide what to include as part of your new kitchen space outside. You can select between modern, sleek designs and more classic styles. One way to get some good ideas of layout and design is to search for outside kitchens online. Pinterest is also a good place to look for design layouts. You should also take the size of the space into consideration. How big is your backyard? Are you going to include a sitting area or dining table? Your professional contractor can offer their expert advice on how to design your new kitchen. There are many different elements that go into creating a magnificent kitchen in your backyard. Taking them all into consideration means you end up with an entertainment space you will love to spend time in. 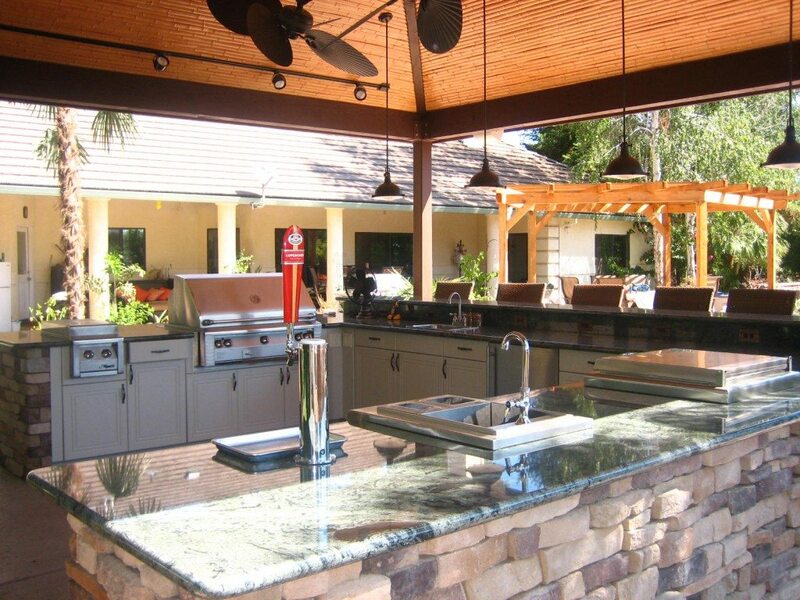 To get the most out of your outdoor space, hire a professional contractor to help you design and build your outdoor kitchen.